Good news for cold fingers! 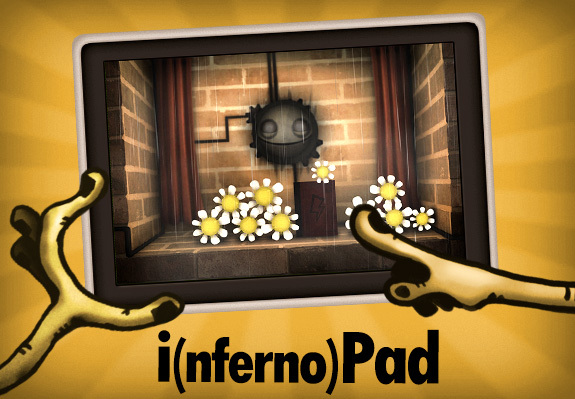 The toasty little fire that started on Wii U and PC is flickering to life on iPad – and ready very soon. Actual date forthcoming once we know for sure. Meanwhile, Mac and Linux versions are also coming together nicely, in parallel. Thank you to everyone who has requested to be part of the beta. While we haven’t been able to respond to everyone, our unpaid interns have taken note of the emails and will follow up when we’re ready to launch a beta – and we have more than enough, so no more volunteering necessary! This must be awesome in an iPad. Any chance of an Android version? I already have it for PC but would totally buy it again for android. No news on android to report! I know that before the world of goo iphone version was out, I was able to hack it onto my iTouch. Waiting for linux version! It was great even on wine, even though it was at least four times slower than on windows. Please show love for android too, it’s not fair that so many great games are released for overpriced iDevices, but not for 100€ android tablets. Written by a man from freezing Finland, in front of his noisy computer. I feel your pain, in Bosnia we sit in front of cold monitors where it is -9°C and I hate it!!!! We need FIRE ON ANDROID!!!!!!!!! YES YES YES YES YES! Thank you soo much for being so quick! When? I check every day on the app store! I’m so excited! Will it be on iPod touch? or will the iPad one be compatible with iPod touch? WHENNNNNN????? Please tell us when. Will be in UK store too?? Yes on iOS it exists but what about Android? Surely iOS is not the only kind of mobile platform. So please as a fellow gaming person and fire enthusionist (pyro-pyromaniac) please make it for ANDROID!!!!!!! Guys, I want this game on my Mac (only heard friends talking about it, never played it or seen it). When? WHEN?! Plzz make this for android i have waited for this for a long long time!!! I am playing iPad version. Says I need to dispose of items, how do I do that? I am really happy that you are making a version for Mac. I saw some footage of game play and JUST HAD TO play, so of course I was disappointed when I saw there wasn’t a Mac version yet. Is there someway of notifying people when the version is ready for sale? +1 for Android support. Finished playing through WoG on the loo, and need a new fix. Waiting for android. Already bought it for pc. ill pay for the android version for sure! now PLEASE!